Opt for vintage style when choosing your bed for a look that remains timeless. 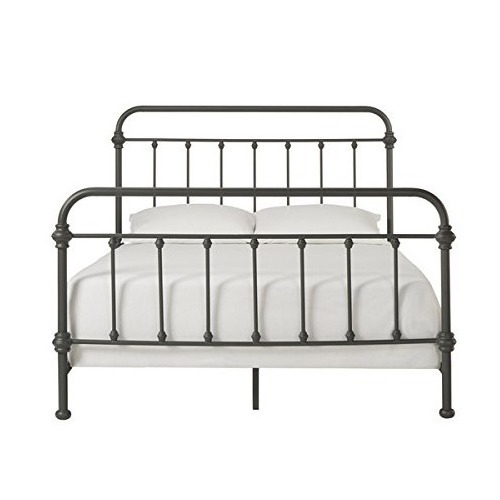 The metal bed is sturdy and simple, with a bed head and a foot, plus strong wooden slats to support your mattress. It's perfect for setting up a French provincial look, or even a fresh nautical space. 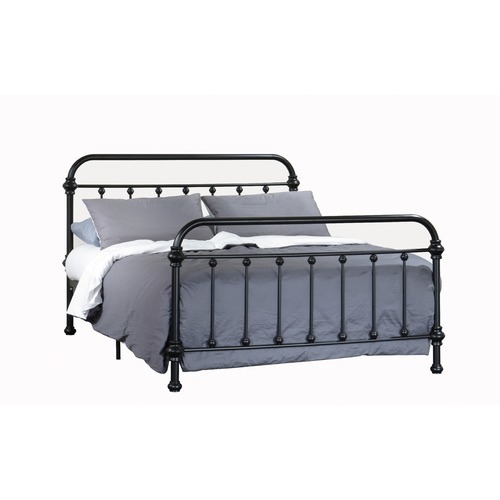 When you buy a Black Carter Metal Bed Frame online from Temple & Webster in Australia, we make it as easy as possible for you to find out when your product will be delivered to your home in Melbourne, Sydney or any major city. You can check on a delivery estimate for the Rawson & Co Part #: MONACOBLACK here. 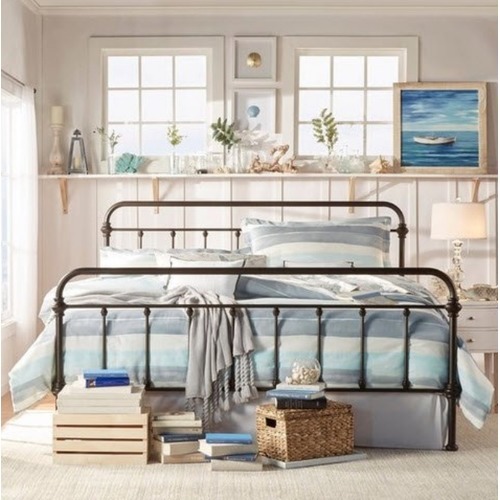 If you have any questions about your purchase or any other Beds product for sale our customer service representatives are available to help.Whether you just want to buy a Black Carter Metal Bed Frame or shop for your entire home, Temple & Webster has a zillion things home. Great product with excellent delivery service. Purchased for my daughter and it looks great. Delivery experience was excellent! Very pretty and looks great. My only criticism is a centre side pole on each side to hold the frame together/up. Would have got 5 stars otherwise. good product - only use bed head. Good enough for what we wanted. Easy to erect and looks fabulous.